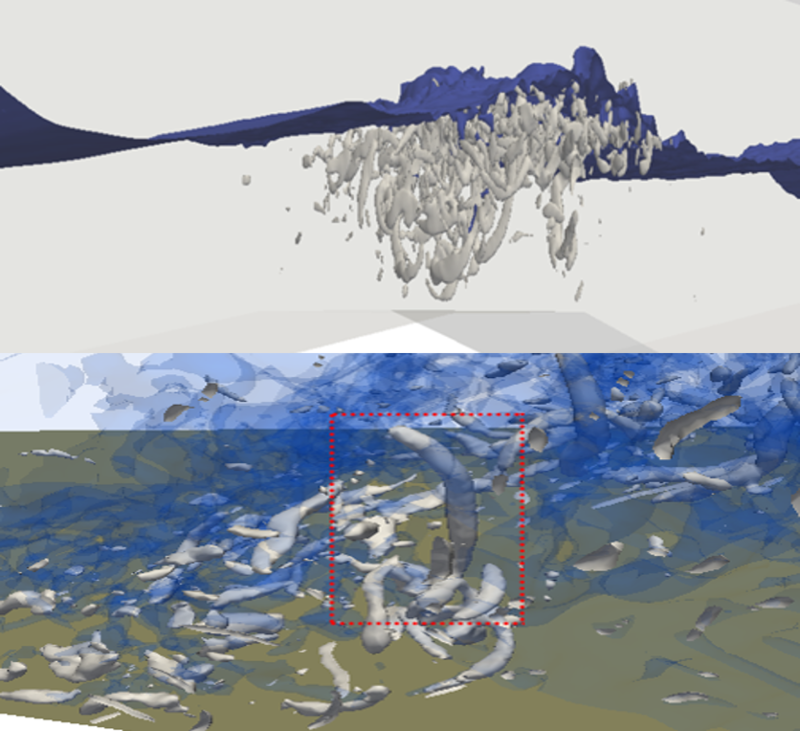 We study fluid and sediment transport processes in aquatic environments by creating open-source multi-scale numerical simulation tools. Numerical simulations by former PhD student Z. Zhou (PhD 2016) and current PhD candidate Y. Kim. Large-eddy simulation of sand transport under waves using an Eulerian two-phase model, SedFoam. SedFoam simulations carried out by former PhD student Z. Cheng (PhD 2016). © 2019 Tian-Jian Hsu (Tom) Research Group – Center for Applied Coastal Research. All rights reserved.